Imagine a world, a post-apocalyptic world, where you are a cat (yes a cat) and you have to fight for your very own survival by going paw-to-paw with other cats in a fight to the death! 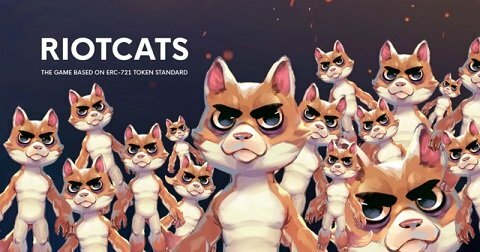 Welcome to RiotCats– a digital collectible RPG game built on the Ethereum blockchain. In this post-apocalyptic world you can spawn your own army of cats by breeding them then training them up for battle, and sending them off to fight other cats. Winner takes all! Well maybe not all but being a victor allows you to inherent your defeated opponents’ weaponry and equipment so that’s pretty badass! Like any other Decentralized app (dApp), RiotCats offers true digital ownership of your cats, their weapons, and their equipment. Which you can purchase with Ethereum on the Marketplace via MetaMask. 50,000 “Gen 0” cats will be born and disbursed within a certain time period via the marketplace. Because of a unique genetic algorithm, no two cats in RiotCats are the same! Each have different features including eye color, pattern, pattern color, body color, tail, and mouth. 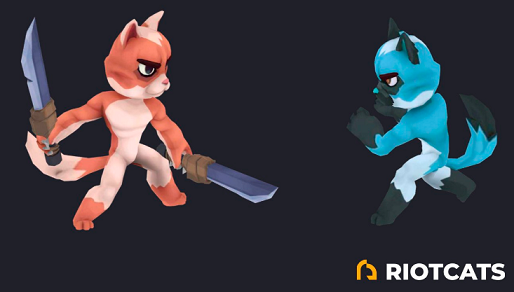 In addition to their physical appearance, your RiotCats will also have different levels of agility, mobility, blood-thirst, ferocity, and strength of attacks. Since all data is stored on the blockchain you don’t have to worry about losing any of your cats or their items. No really, they are yours to keep forever and ever. There will be a slight “cool-down” period after any breeding or cat fights. I mention this because the cool-downs after breeding can be up to 30 days, so be prepared for possibly having your cat unavailable for that time period. Fighting cool-downs are typically two hours so you’re good to go there. The Marketplace will allow you to buy or sell ERC-721 tokens. That’s a fancy way of saying you can buy and sell cats and items on the Marketplace. A good strategy would be to build up a killer-cat (or twelve) and sell it for a nice chunk of ETH! 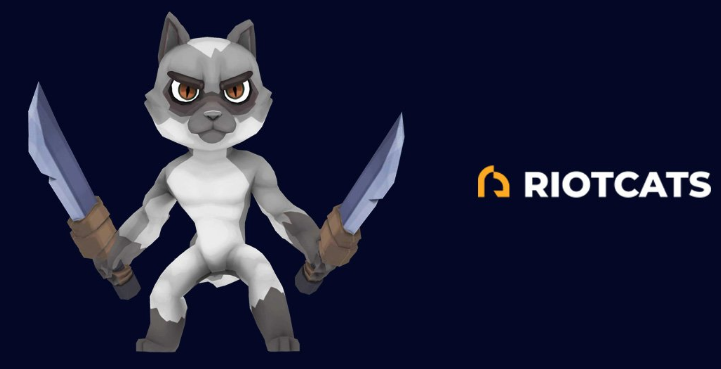 Whatever your strategy, RiotCats is a promising RPG with amazing 3D graphics, true digital ownership, utilization of blockchain technology, and…..cats! RiotCats is on the Ethereum blockchain and you’ll need MetaMask to play. What are you waiting for? Get to playing RiotCats right meow!